In 1938, Arizona Snowbowl took form. Although it was in the middle of the Great Depression, a helping hand from the Civilian Conservation Corps helped establish what has become the longest continually running ski area in the country. 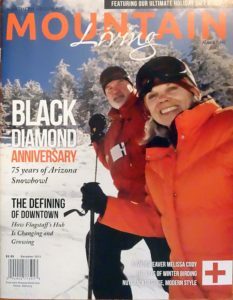 Seventy-five years later, we take a look back at Flagstaff came to embrace alpine skiing and sustain it through the decades.